How to get to your place? First of all, you need to reach Denpasar, Bali. You can take a flight to international airport Ngurah Rai (Denpasar). It is a very busy airport serving direct flights from Europe, Asia, and Australia. As an option, you take international airports as Singapore, Kuala Lumpur, and Bangkok for a transit. After landing you are supposed to take a taxi to Sanur harbor which would take around half an hour. Here is the complete guide for getting to Nusa Penida. Citizens of more than 100 countries have the right to stay in Indonesia for up to 30 days without visa. Usually if you want to stay in Indonesia longer than that, you have 2 options. First is visa on arrival that costs USD 35 which is valid for same 30 days but can be extended twice (each time for period of 30 days). You also can apply for touristic visa in the embassy of Indonesia, that is valid for 60 days and can be extended 4 time so that you can stay in Indonesia for 6 month without going out the country. This are the general rules for foreign citizens to stay in Indonesia. We are not sure if citizens of your country has the same right so we kindly ask you to check it before arrival. Is accommodation cost included in the prices of courses? As a rule, accommodation cost is not included in the courses price. However, we can offer you complete packages, that include accommodation, Manta trip, land tours around the island. You can book accommodation by yourself using any of available systems of booking. We conduct courses in English and Russian languages. We speak Bahasa Indonesia as well. We will be your guides in freediving as well as in daily life on the island. We will help you to communicate with locals since there is Indonesian speaking crew in Freedive Nusa. Is there internet and mobile phone connection on the island? Almost every hotel/homestay has Wi-Fi. We have free Wi-Fi in the school. The strongest connection among all mobile providers is Telkomsel. This operator has the best internet connection for their mobile internet. XL and Indosat mobile providers are also available on the island, but the quality of their connection is weaker. Is your school open all year long? When is the best time to come?  Freedive Nusa is the only freediving school on the island, we are working 12 months a year. You are very welcome to come anytime you want. There is high season of the island which starts from July to September. During this time you have the chance to see Mola-Mola fish (Moon fish), which attracts divers from all over the world. During high season the water is a bit colder and prices for accommodation a bit higher. Low season starts from December to February as for the all of Bali regions. It could rain during the low season. However, Nusa Penida is a dry region and the whether is cooler than the rest of Bali. The visibility stays on the same level all the year, even in raining season. What to do besides diving on Nusa Penida? Nature of the island is fantastic. This fact alone, can be the only reason to come here. High cliffs, unbelievable landscapes, beautiful beaches, underground temple, water springs and natural ponds…You can hardly get bored of diving here, either at the boat-distanced spots or directly from the beach. Here you can read about all activities available in the island. What should I bring with me to the island? It would be beneficial to bring your own freediving equipment if you have. Fins, mask, snorkel, belt, and 3 mm wetsuit would be a good start. No need to carry weights. If you do not have equipment, we will provide you as the equipment is included in the cost of all courses. Also we have small shop in the school, so you can buy freediving equipment from us right on the island. Comfortable shoes (runners) for exploring the island, sunglasses and sun cream (take the strongest one with protection level 50) to feel yourself comfortable under the tropical sun, photo and video cameras to capture all the beauty of the island would be very useful. How strong should I be physically to take a freediving course? Freediving is activity for everyone. It can be as safe, easy and enjoyable as cycling in the forest or hiking the mountain with friends. Naturally, your progress would be faster if you are stronger physically. If you have such an opportunity we recommend you to take a basic freediving course in the pool (usually available in big cities). It will give you basic knowledge, skills and understanding of what happens to your body in the water. It will make your firs deep experience easier. Yoga, stretching, swimming, meditation is good preparation and perfect training for freediving. To start Freediving you should be a confident swimmer. Previous experience with snorkelling or scuba diving is not required, but would make it easier for you by being more comfortable under water already. To take part in any Freediving activity you shouldn’t have any medical condition that can impose a risk. Please read this Medical Statement and Medical History and check for any conditions that might apply to you. Are there any limitations for freediving which I should know about? If you have regular problems with otitis, sinusitis, curvature of the nasal septum or other diseases connected with ears or nasal sinuses it may slow down your progress or even make diving impossible. In this case we recommend you to visit ENT doctor in advance. If you may solve this problems before the course it will make your learning more effective because equalization in ears and sinuses is the most often problem which can stop you before diving to your possible depth limits. We recommend you to take out travel insurance for the entire period of your stay in Indonesia. We can recommend DiveAssure as company which works internationally all around the world and provide both Travel Insurance and Diving Insurance. How to move around the island? You can rent a motorbike on the island. It would cost you around IDR 60-70k per day. If you already renting a motorbike you can bring it to the island going through Padang Bai harbor using ferry boat. But it makes sense only if you are coming for more than 2-3 days. If you are coming just for a couple of days it is not worth spending long time for the journey to Padang Bai. There is an option to rent a car with driver for exploring the island for the hole day. It costs around IDR 600.000 per day. If you can not drive motorbike there are motorbike taxi on the island. Could I go scuba diving on the island? Sure, there are several scuba dive centers on the island. We are not teaching scuba diving but will help you to choose a good dive center and will give you the most useful tips. Manta rays, sharks, Mola-Mola fish, turtles, most beautiful corals, millions of fish, rich marine life for macro lovers. Nusa Penida has one of the best dive sites around Bali. Just near the school there are few places with tasty healthy food. One average meal would cost you 3-6$. You can reach morning and evening markets in 5-7 minutes by motorbike, where you can buy fruits and vegetables. In a walking distance, there is Pura Ped temple, you can get some fruits and veggies in the shops around there. If you need some special food, better to bring it from Bali. I never did a course before but I have some experience. Can I start from the Level 2 course? If you never did a course before it is highly recommended that you start with the Level 1 because there are things that you learn there that are vital for your progression and which will not be taught a second time on the next courses, such as proper breathing for freediving, breathing for relaxation, how to do a proper and safe breathe-up, plus safety and rescue from black out, proper finning and streamlining, etc. What is is the difference between SSI and AIDA? Most of our courses are SSI. As for the course content there is really not any difference between AIDA and SSI except from the theory material (not content) and the certification. SSI is present all around the world and you will be able to continue your freediving education whenever you are traveling. If later on you want to continue with AIDA, you do not need to redo the AIDA equivalent course, since both organizations recognize each other. I have done a course with AIDA/Apnea Academy/PADI before. Will I have to start from the beginning if I want to do SSI? No, you don’t need to start from the beginning. For most training agencies we have direct crossover, which means that you can go on the next step directly. For smaller and unrecognized training agencies, we require at least one evaluation day to check your level before.